That title, right?! Sounds like the most brain-dead obvious thing in the whole world. But, for those of us interested in they study of cooperation, it’s not that obvious, and the fact that deep connections might make us nicer is also pretty darn cool. Social network analysis is an amazing tool that allows us to look at how individuals’ relationships impact their behavior…in fact, you probably read about it on this site. Normally these relationships are drawn in two-dimensional, single graphs (1, 2), like the picture above. But we all know that our interactions have way more nuance than that! We have different relationship strengths with many people in different areas of our lives, and some of those areas don’t overlap as much as others. 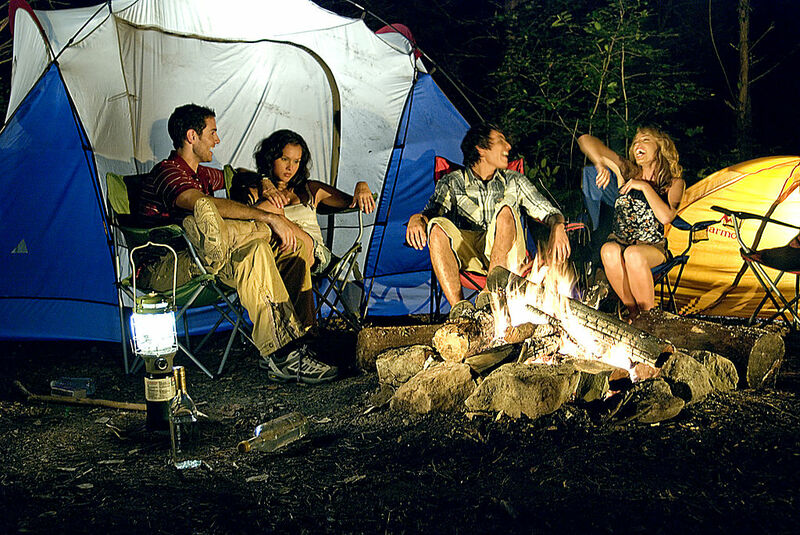 For instance, I don’t go dancing with many of the same people that I work with, but I do go camping with many of the same people that I work with, so my work network and camping network are much more closely tied than my work and dancing networks. Networks that contain all this information in several layers are called multiplex networks (3). 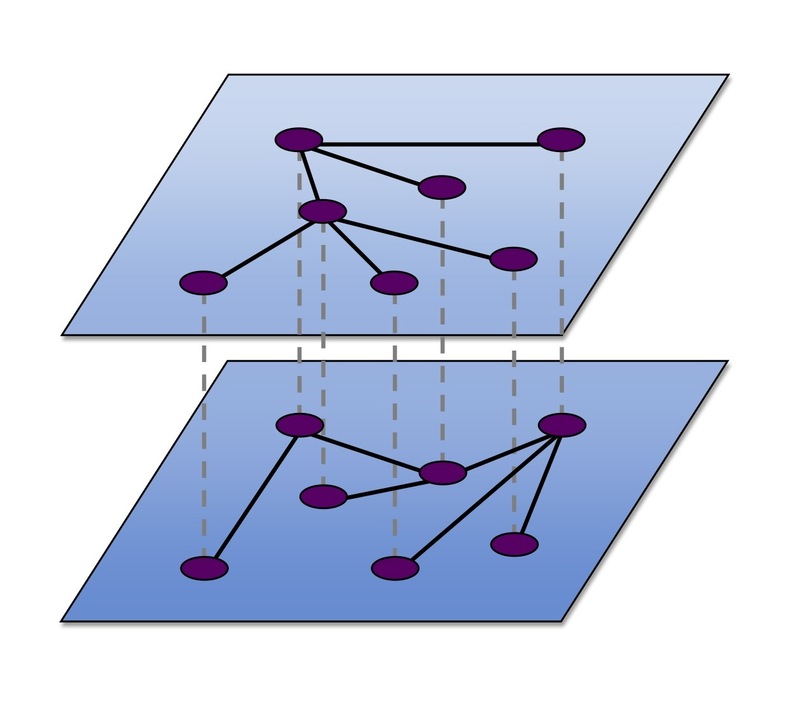 Multiplex networks have multiple layers with the same nodes but different types of connections. The complexity of real life social interactions might matter for a number of ways, but I’ll briefly describe two here. First, you can get incidental network membership as a result of multiplexity. I got to know one of my best friends through a music group. She is an amazing saxophone player and I could listen to her play for hours. While doing that, we talked about life, started sharing things, and started doing more together. She started out as part of my music playing network, but ended up being in many of my other networks, at least in part because of our exposure in the music playing network. Second, adding all these different relationships tied us together very strongly, making us concerned about each other across all aspects of our lives. We will help each other with just about anything. So these deep connections, the multiplex network, have served to align our incentives–which makes cooperation more likely. Research into multiplex social networks is only now beginning, and there hasn’t been much data-driven work yet. There have been some computational models that seem to indicate that by simply incorporating multiplexity, you can get more cooperation. Work by Gomez-Gardenes and colleagues in 2012 (4) showed that increasing the number of layers in the network dramatically helped cooperation persist. Check out the graph to the right. You can see that beyond a benefit to defecting (not cooperating) above ~1.1, adding more layers (m) makes it so there is more cooperation. That’s a really cool, unexpected result. They formed all of their networks randomly, but we know that multiplexity results in highly patterned graph formation. So a colleague and I spent the last few months developing a model to look at what happens with non-random graph formation, with networks more like what we would find in the real world. What we found is that non-random graph formation makes cooperation even more likely to stick around (5). This work is hot off my computer – you can see in the graph below that as the graphs get more random (the x-axis; the proportion of unique layers in the multiplex network), the amount of cooperation decreases. So, what does this all mean? Mainly, multiplex social networks are a really cool thing to study that should become a major focus in the study of behavior. 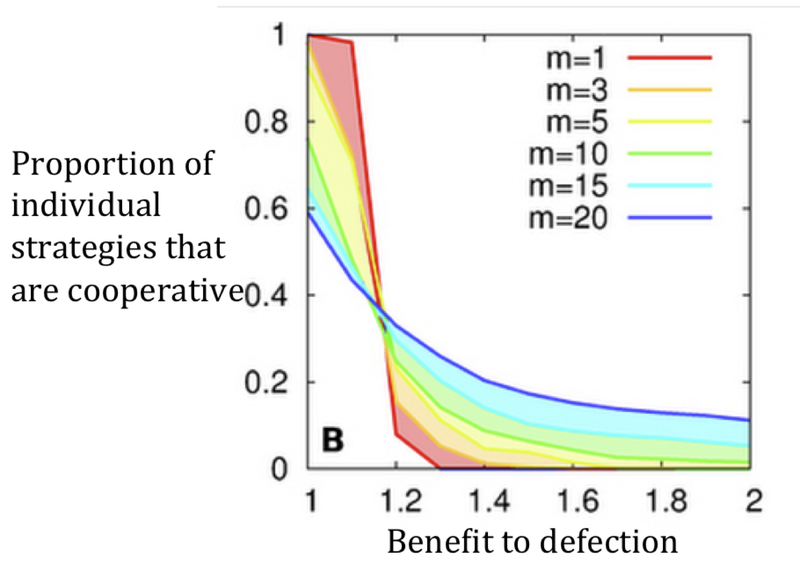 Just incorporating multiplexity might result in some cool things, like cooperation sticking around. What might it mean for you? If you want to be surrounded by people who are really nice to you, try to be surrounded by the same people in many different contexts. Realize, though, that your super smart friend might be a horrible musician. That’s just the price you might have to pay. (3) Kivela M, Arenas A, Barthelemy M, Gleeson JP, Moreno Y, Porter MA. 2013. Multilayer networks. arXiv preprent. (4) Gómez-Gardeñes J, Reinares I, Arenas A, Floria LM. 2012. Evolution of cooperation in multiplex networks. Scientific Reports 2. (5) Atkisson, C, P Smaldino. 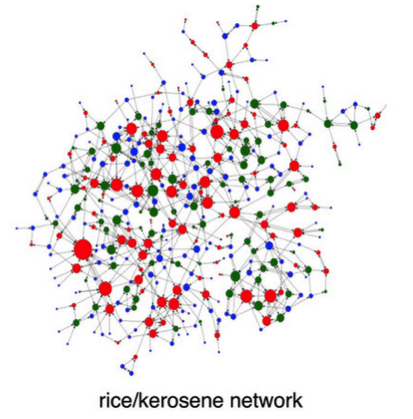 Modeling the effect of social networks on cooperation. Annual meetings of the Human Behavior and Evolution Society. Columbia, Missouri. May 2015. Curtis Atkisson is at PhD Candidate in Anthropology at the University of California Davis.